You’ve probably heard of American or French Roulette. Did you know that Mexican Roulette is very exciting as well? This roulette is less known but you can compare it to drink roulette. Discover below the small differences that makes this game of Roulette from the other two Roulette versions. The Mexican roulette is almost identical to American roulette. The biggest difference is that it contains an extra zero. The American roulette already has two zeros, namely the ‘0’ and ‘00’. Mexican roulette has a third box with a zero known as the ‘000’. This extra zero can be a penalty for some players and increases the advantage of the casino. So during Mexican Roulette you have three chances to lose your winnings. Hopefully that doesn’t happen! The fact that there are three chances to lose your winnings is a disadvantage of Mexican Roulette. Another disadvantage is that there is no exchange rule, as is the case with French Roulette. This gives players the chance to get their money back when they pull the number ‘0’. 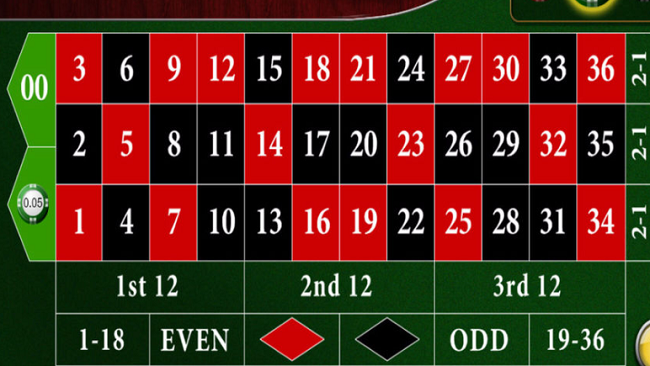 Should you play this Roulette game? Playing Mexican Roulette is great fun, but because of the extra ‘0’ you take a big risk. Your chance of winning compared to European and American Roulette is reduced because of the zero. It can be very excited to win, so although some people don’t recommend this game it’s still worth a try!